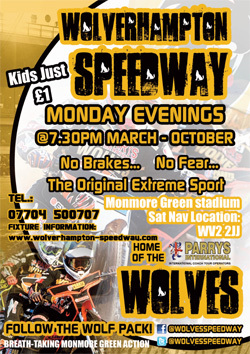 WOLVERHAMPTON suffered their first home defeat of the season with a 51-39 loss against Belle Vue at Monmore Green. 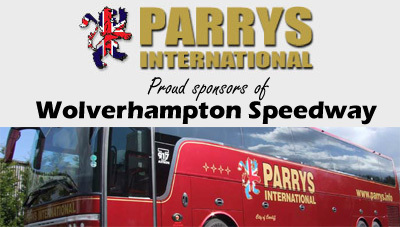 The Parrys International Wolves endured a night to forget against the in-form Aces in their top of the table Elite League clash. 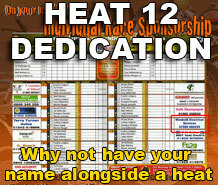 Aussie ace Sam Masters top scored with 10+1 points, recording three race wins including an impressive heat 15 triumph. He admitted his side were simply “beaten by a better team” – but he hopes the defeat will serve as a wake-up call as they aim to recapture their best form. Said Masters: “It’s disappointing to lose our unbeaten home record, but we got beaten by a better team tonight. “It’s hard to take, but I guess it might be a good thing because it’ll probably give us a kick up the backside. “The track was a bit different to normal, mainly on the starts. That caught us out, and it probably suited the Belle Vue boys a bit more than us. 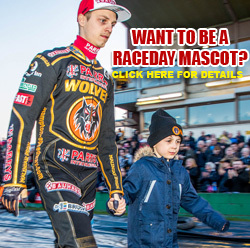 Masters was the pick of the Wolves riders, whilst Freddie Lindgren recorded two excellent race wins early on. Swedish ace Jacob Thorssell was in the thick of the action throughout to score eight points, whilst Peter Karlsson worked hard for his paid seven. Reserve duo Max Clegg and Kyle Howarth also combined for a 5-1 in heat 12 to spark hopes of a dramatic late comeback. 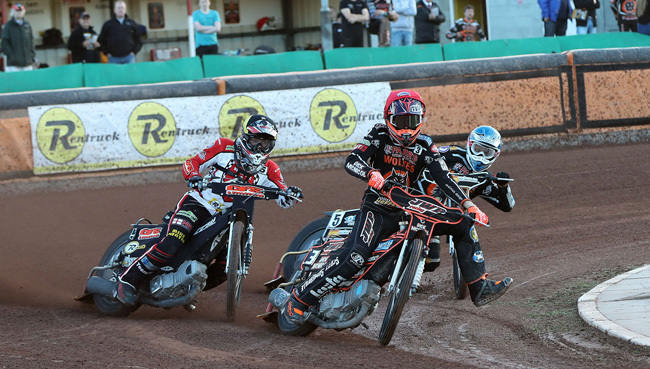 But Joonas Kylmakorpi endured a nightmare return from his month on the sidelines with a knee injury, and powerful performances from several departments of the Belle Vue team saw them emerge with all four Elite League points. Wolves will now have a chance to regroup before looking to bounce back to winning ways at home against Lakeside on Monday, August 22 (7.30). WOLVERHAMPTON 39: Sam Masters 10+1, Jacob Thorssell 8, Freddie Lindgren 7, Peter Karlsson 5+2, Max Clegg 5, Kyle Howarth 4+1, Joonas Kylmakorpi 0. BELLE VUE 51: Scott Nicholls 15+1, Richie Worrall 11, Craig Cook 10+5, Matej Zagar 9, Steve Worrall 4+3, Joe Jacobs 2, Max Fricke R/R.